We are fortunate to live in the U.S. where we enjoy one of the world's safest food supplies. Despite our efforts, foodborne illnesses and food recalls are increasing at a rapid rate and over 40 million pounds of food products were recalled since 2014. As attorneys, we need to guide our clients appropriately when an issue arises; but what are food recall best practices and where do an attorney’s ethical obligations begin and end? Join Rania V. Sedhom, Founding Member of Sedhom Law Group, PLLC, A Bespoke Law Firm, Lucky Lee, VP of Sales for Lucky’s Real Tomatoes, and Paula Fisher, owner of A&L Ag Solutions, LLC, as they discuss the Food Safety Modernization Act, how to handle a product recall, and an attorney’s ethical obligations and conundrums. Rania V. Sedhom interviews Lucky Lee and Paula Fisher about food recalls and advises listeners about the ethical landmines that attorneys may face when assisting their clients with recalls. Lucky Lee (Richardson) is a founding partner of Lucky’s Real Tomatoes, New York’s only supplier of American, fieldgrown, sunripened Beefsteak Tomatoes. Lucky’s is a family owned business created by her Dad, Tony, and the Marcelli family over 30 years ago. She and her brother, Alan Marcelli, President, run the day to day operations from New York to Florida. Their client base includes New York City’s finest Restaurants, Hotels, Retailers, Food Service and Distributors, as well as national distribution. Her responsibilities are Director of Sales and Merchandising, Public Relations and Product Development. Lucky’s Real Tomatoes has always worked with American farmers, specializing in bringing year round, flavorful, beefsteak tomatoes to the tables of their clients in the New York area, and began national distribution over a decade ago. The company has been “farm to fork” and a “slow food” company, long before it became popular, and, to this day, has remained true to its roots. Their steady and consistent growth is attributed to their unending commitment to quality and service. Lucky’s Real Tomatoes is a member of United Fresh, The Produce Marketing Association, The James Beard House, is a board member of EWVIDCO and regular donor to City Harvest and City Meals on Wheels. Lucky’s product and story have been featured in The New York Times, New York Magazine, The New York Observer, The Daily News, New York Newsday and in cookbooks by renowned chefs Alain Ducasse, Andre Soltner, The Palm Steakhouse and Food & Wine. Her product has appeared in The Food Network’s “Follow That Food” and “Brooklyn Eats,” and also on “Ciao Italia” and on NBC’S Today Show. 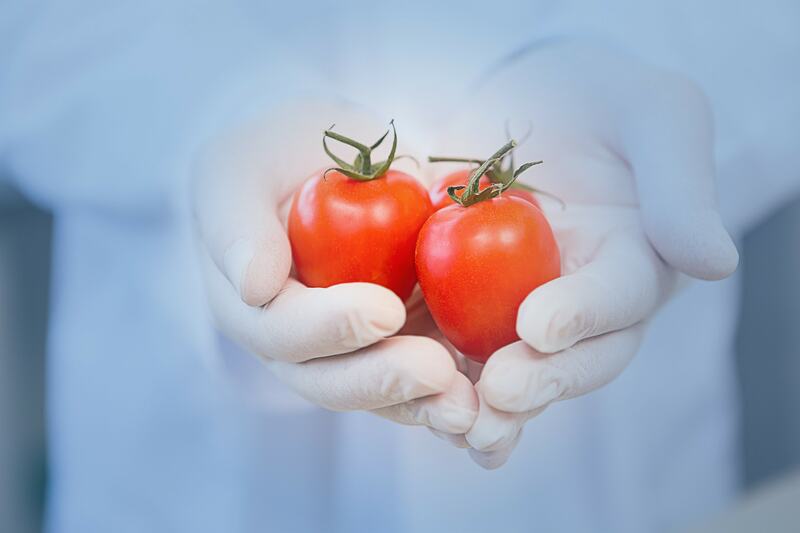 Lucky’s Real Tomatoes received the Quality by Purfresh Seal in recognition of their leadership initiatives in implementing a state of the art Ozone cleansing system, insuring that her product is sanitized and safe. 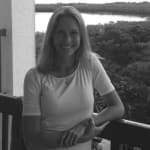 Paula Fisher is the owner of A&L Ag Solutions, LLC., which provides a dynamic approach to food safety and data management. She grew up in fruit and vegetable production, owned and operated a farm of her own and has overseen the food safety program for the largest sweet corn shipper in the country. Working in the food safety industry since 2008 she now consults with growers and shippers across the country. She conducts second party food safety audits for major retailers and restaurant chains, has spoken to the National Association of State Departments of Agriculture and hosted a FSMA Produce Safety Readiness Review. Paula is committed to find reasonable and science based solutions that meet her customer’s needs. Who knew that food industry could be that interesting!? Thank you! Excellent real-world perspectives and hypotheticals! One of the best professionalism CLEs I've taken! The program was engaging and informative. Nice attempt to actually bring all the ethics stuff into practical terms. A unique and relevant program on ethics. The weaving in of ethical problems with food safety was very well done. Lively and interesting. Very helpful for practicing lawyers and interesting insights into how businesses actually operate. The speaker was so warm and kind. I liked that she had other speakers on the program. This was a really interesting course, especially for Ethics credit. I liked the panel format. Was very useful to have the industry reps participating. Loved the format having an Attorney and non-Attorneys discussing practical aspects of food safety issues. Enjoyed the perspective of lawyer, company, and consultant. Excellent real world perspective and examples among the speakers! The banter between the women kept my attention. Well done and relevant. Had significant professional responsibility and ethics content which should be considered for credit also. Excellent presentation… All of the speakers were very knowledgeable and wonderful at conveying interesting information. Thank you all. Excellent! The course was entertaining and educational. Highly recommend. great class even though I don't practice in this area and probably never will. I enjoyed it. it was nice that they had non-attorney industry leaders running the CLE’s, instead of attorneys only. Good presentation on ethics and professional responsibility but also on an area of substantive law which interests me but is rarely the topic of CLE courses. Thank you. I really enjoyed this presentation. It was lively. I don't practice in this field and so it was all new to me, and I learned a lot. I thought she gave great practical advice for in house counsel on how to handle potential issues. Great multi-presenter approach; very engaging! I really enjoyed the format of this CLE which gave us an inside view into a reputable food-safety practicing company. It was also very informative about food-related illness and how important each aspect of food production (field growth, facility handling and transportation) can contribute to food-related pathogens/bacteria/contaminants. An interesting and practical approach! The format was a nice change, although i don't think i would want it every time. Including a representative from the food industry was a great idea. Both speakers were informative, well spoken and organized. Interesting topic. the female lawyer was great. Extremely personable, effective and the idea of bringing two non-lawyers brought some needed practicality to the lecture. Great to have a panel of different professionals. Not an area I practice, but this such a cleverly conceived way to present this topic. Insightful and entertaining. All three speakers were engaging and quite informative. The discussion about in-house vs. outside counsel was so valuable. Very well done. Liked the inclusion of someone who is in the industry but is not an attorney. Beautifully paced. Always interesting. Thank you. A very informative course that will be helpful to me in my practice. Pretty decent class learned a lot. Good presentation on a seldom discussed topic.